So you’ve heard the news (...or maybe you haven’t). The Cleveland Flea is making its way East! We’re partnering with The Van Aken District, bringing the amazing experience of the Flea to Shaker Heights. The Cleveland Flea does this amazing thing where it builds a community, no matter where it goes -- parking lot in downtown Cleveland, a shutdown thrift store, a warehouse, etc. Another thing the Flea does, as mentioned above, is create amazing experiences. Community + experience ...it’s kind of our thing. Ok enough about us, let’s get to the details! East Side Flea -- The Cleveland Flea on the East Side of Cleveland. East Side Flea is an outdoor Sunday brunch market in The Van Aken District. We will be closing down the streets of the developing Van Aken District for the ultimate #sundayfunday. Tons of brunch food options, beer from our local friends at HiHo Brewing Co., and plenty of shopping! The Van Aken District in Shaker Heights! Our first East Side Flea kicks off on Sunday, September 16th at 10am until 4pm. We’ll close out the outdoor season with East Side Flea on Sunday, October 21st at 10am until 4pm. Walk, bike, ride the RTA, grab a Lyft or drive! If you’re driving, there’s an abundance of parking in the neighborhood (YAY)! We’ll get more specific in the next couple weeks! Shoppers, you’ve got FREE admission! Vendors, did you miss our invite? 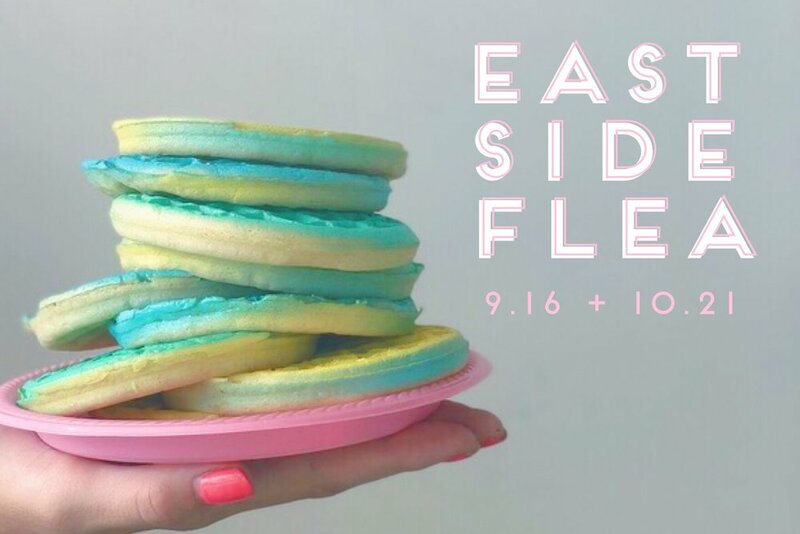 If you think you’d be a great fit for East Side Flea, submit an application here! See you on the East Side!